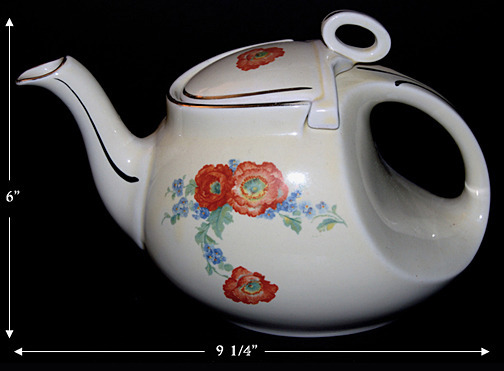 Measurement: 6" H. - 9 1/4" W.
Condition: The Hall China Company of East Liverpool, Ohio produced this hard to find Orange Poppy Streamline teapot. Our pretty teapot is in UNDAMAGED CONDITION without chips or cracks. I would rate the platinum trim on this lovely teapot at 99%. There is one tiny pinpoint indent in the glaze near the bottom edge of the teapot, but it is not noticeable and did not show up in our photo. It is in the making. The teapot is not damaged or chipped. 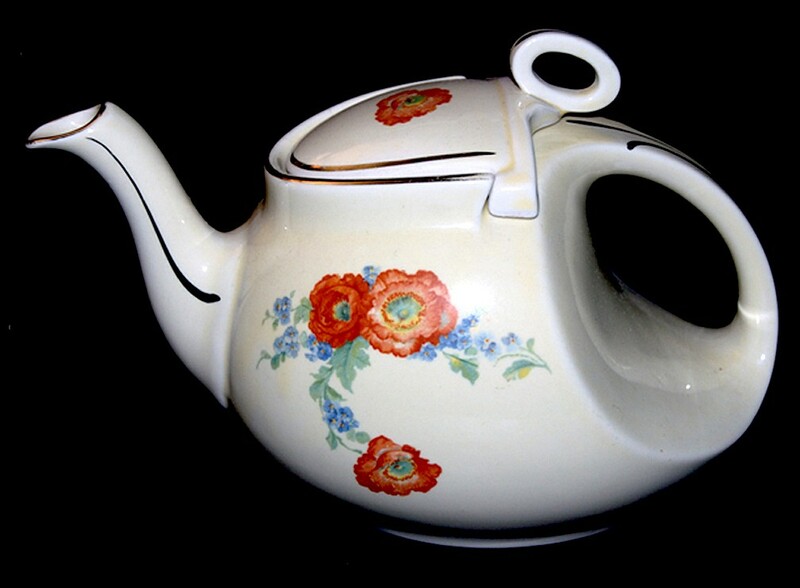 It is one of the nicest examples of an Orange Poppy Streamline teapot we have owned. If you still need this teapot to help you complete your collection, you will be very satisfied with this one. Orange Poppy is a decaled dinnerware pattern that was introduced in 1933. This pattern was originally used as a premium for the Great American Tea Company. 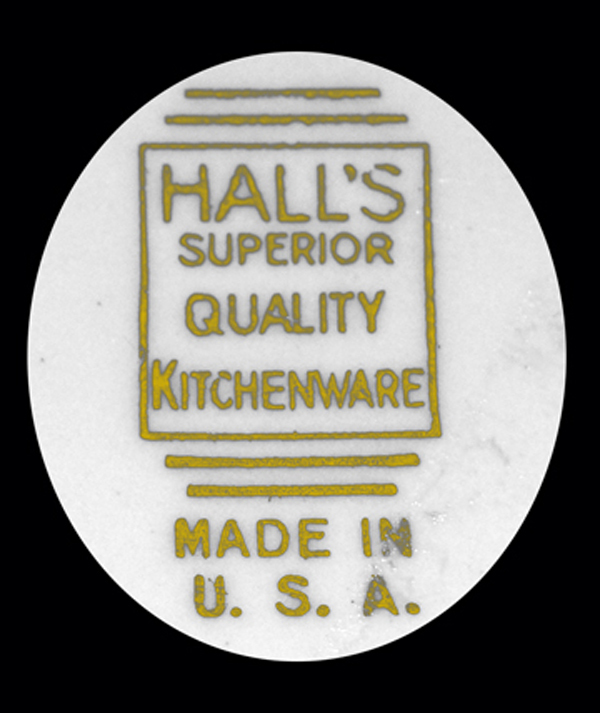 However, Great American discontinued offering this pattern in 1940 and it was offered by Hall as open stock until 1953. Additional items are currently being made by Hall for China Specialties. These items are marked with the China Specialities backstamp.